Melrose and Morgan is a grocery shop and kitchen providing freshly prepared food and artisan products and ingredients from two shops in Primrose Hill and Hampstead Village. They care about the quality of food and they pay particular attention to its preparation. That’s why 60% of the food you find in there shop is made by there in-house team of chefs. They do not ‘manufacture’ – everything is made by hand in small batches by people who really care about food. Melrose and Morgan offer a Christmas Favourites Box to there customers. 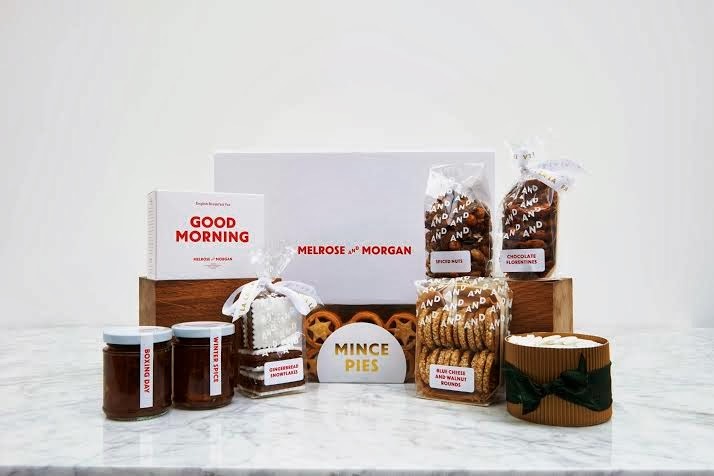 The box includes a selection of Christmas products including, Winter Spice Marmalade, Boxing Day Chutney, a box of Mini Mince Pies, Dark Chocolate Florentines, Iced Christmas Cake, Gingerbread Snowflakes, Stilton and Walnuts biscuits, Spiced Nuts - all wrapped up in Melrose and Morgan White Gift Box. 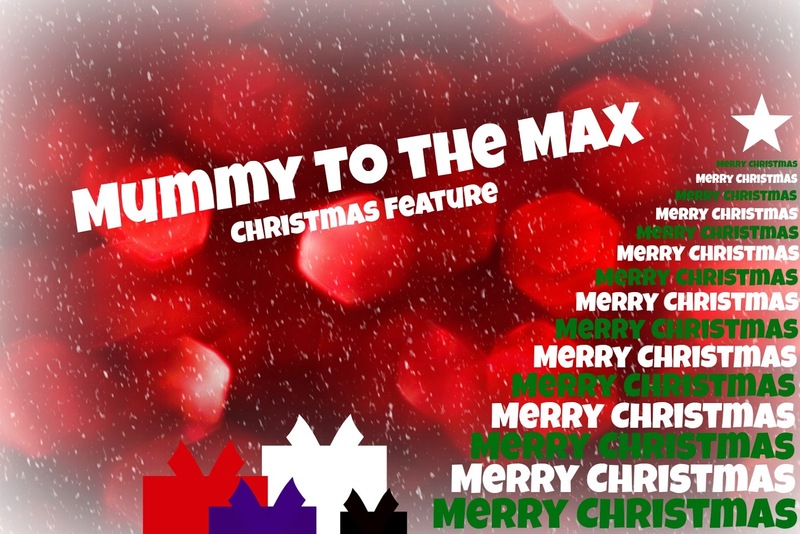 Melrose and Morgan have given one Mummy To The Max reader a chance to win one of there amazing Christmas Boxes. To enter all you simply need to do is enter the rafflecopter below. Good Luck! I have friends coming over for Christmas and this hamper would be a lovely thing to share with them. I think the box would be lovely to share with my family ding the Christmas period! I would like some scrummy treats for my family. Because I love indulgent Christmas food!! The melrose and morgan box contains just about every item we love to have over Christmas to feel spoiled. Because it has so many delicious items within for the Christmas period. I'd love to have a little treat for myself after rushing around during the whole of December to go to different meals and kids parties. It has lots of delicious treats and would keep my husband, me and the kids very happy! Because it looks very yummy and the whole family would enjoy it. It'd be a great treat and it's full of lots of my favourites! I would like the box so I could indulge my family a bit more at Christmas time. Because it would be lovely to share with my family and it looks delicious too. They seems a good variety, something a bit different from the normal hamper foods you get. Because that would make Steve's day! I would love to simply indulge in the delicious treats. I would love to share with my fiance for our first Christmas living together. It would be lovely to have so many delicious treats that didn't have to be cooked to share with family and friends. I'm hosting Christmas dinner for the first time so this would be a fantastic fall back if it all goes wrong! It looks great, I'd love it because all the family are getting together (18 of us so far...) and this would come in handy when catering lol! This would be a gorgeous treat for Christmas, yum! What a gorgeous range of Christmas goodies, would love to try them out! I'd like to share this with my family when they visit for Christmas. I'd love to treat my family with this hamper! 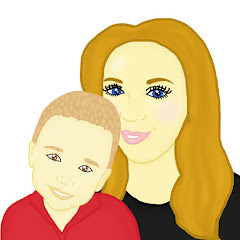 Would be lovely to gift to my mum as a thank you for Christmas dinner. My mother would really appreciate this! Best of all I think she'd share it with me! The melrose and morgan box would add a touch of luxury to our Xmas festivities. I'd like to share it with the family. I like to win this as everything looks delicious. I know someone who would love this for Christmas! Would love to win and be able to share this wonderful treat with my family!